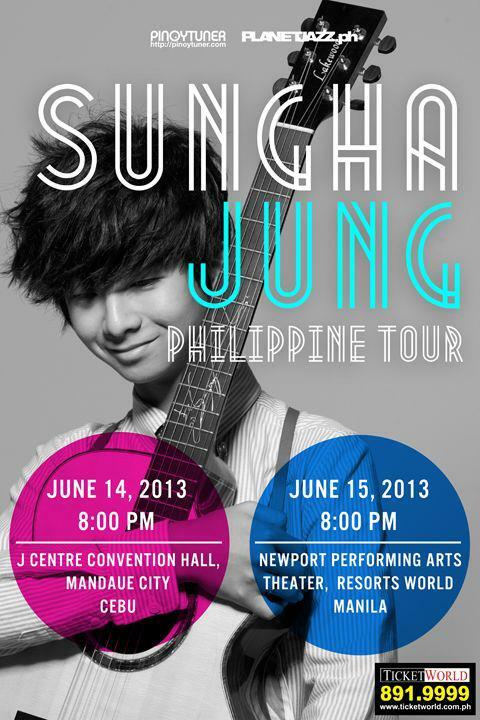 Sungha Jung is coming to the Philippines! Better yet, he is coming to my City!!!! Yay! Hurray!!! Anyway, if you aren’t familiar with him, he is a Korean finger guitarist. I have wrote several entries about him and his videos. I am very impressed with how he plays his guitar and I have been a fan since I saw his videos since he was about 12 playing his guitar. He has grown and his music too has evolved. I would really really love to see this concert! The venue is just like 15 minutes maybe 10 by taxi from my house.. But first I need to find someone to go with me who is as impressed with him as I am. Did that make sense? haha… Who wants to go to the concert?? **check ticketworld to buy your tickets! It’s time to write a post about a Thai song! Actually I haven’t been listening to too much Thai songs. So I did not have one to post about. But then I was reminded of this song when I saw Sungha Jung uploaded this video to his channel. It’s a song called Look Aum (ลูกอม) by WhatChaRaWaLee (วัชราวล). There is no music video for this song, so please play the following video for the audio. Look Aum (pronounced like luk-om actually means literally hard candy in Thai (the kinds of candy’s have different names). I have heard this song played and sung by all my students. I noticed that this is one of the very popular songs among high school kids here in Thailand. They memorize this song by heart. Maybe because I’ve heard it a lot of times, so that’s why I didn’t really care to find the original song. 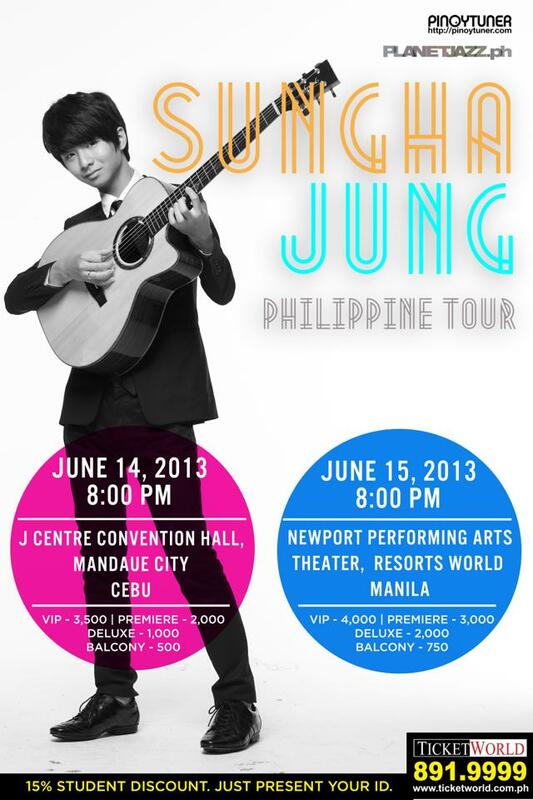 And then I heard Sungha Jung played and I am mesmerized by the song! It’s actually a very beautiful song. The lyrics are really nice. I like hearing it and it’s very pleasant to listen to. And as I found out, it’s also very easy to sing! Hahaha. It’s officially added to the list of my fave Thai tracks. I do love Thai songs like this! If you want to sing a long, here are the lyrics of the song. As always, credits to thamnong @ deungdutjai.com for the romanization and translations! The heart I give to you is yours, do you know? This song is for you, it’s yours, do you know? My heart that I give you is yours, do you know? And here is a bonus. This is the video of Sungha Jung‘s cover of the song. Gotta love him playing it!!! I absolutely love acoustic music… in my country it’s quite popular.. and i loved it since i was a kid because i grew up listening to my cousins playing this kind of music. I usually watch some acoustic performances online in different websites.. and there’s this kid who really got me amazed.. a Korean kid by the name of Sungha Jung (Jung Sungha). This kid is really good!! Then today while going over my yt subscriptions, I saw a video of him performing my favorite Big Bang song.. ok so two favorites of mine.. and i told myself, this has to be posted tonight! Actually I’m just sharing something about this kid. You will know what got me amazed when you watch him play. to post one more tonight??? kk ~~~ i really miss blogging!